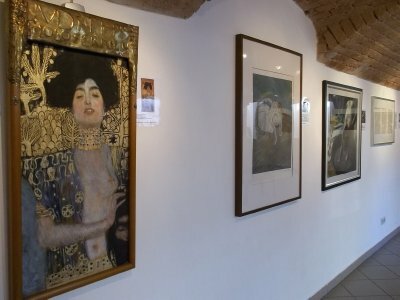 This privatly owned museum in Vienna has a large collection of fake art. With the art, you get the history of the art's creators. The museum have fake art of very prominent forgerers including Han van Meegeren, Tom Keating and Konrad Kujau. All of who's fake art made a great impact on history. The art is impressive, but also the history and fate of some of the artists are quite dramatic. Stratching about 1,5 kilometers over the Wien River, the Naschmarkt is Vieanna's most popular market. It started out in the 16th century, selling milk bottles. Nowadays you can buy anything from bread to seafood. There is fresh fruit and exitc herbs from all over the world. Also along the market there are several small restaurants, offering sushi, kebap and traditional food. Some stands offer differnt kind of clothing and other accessories. On Saturdaus the market is expanded over the Wienzeile by a huge flee market. The athmosphere of the Naschmarkt is famous all over the world, and attracts many tourists every year. 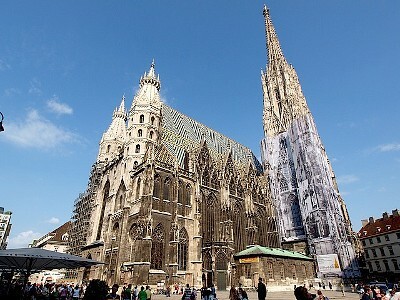 Built at the Stephansplatz in 1147 AD, St. Stephen's Cathedral is still standing. It is one of Vienna's most recognizable symbols and it has vitnessed a lot of the old city's history. The roof of the building really stands out. It has several colors and colorful replication of a double-headed eagle on one side and the coat of arms of the City of Vienna and Republic of Austria on the other.